Could Your Cat’s Name Predict Their Health? 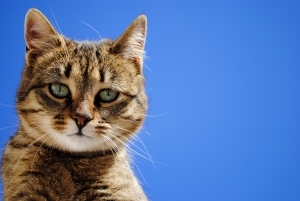 Have you ever wondered if your cat’s name could have a bearing on their future health? If so, you might have been right as a pet insurer has released their claims data for the last 12 months and cats named Oscar, George and Charlie are in amongst some of the unluckiest cat names. 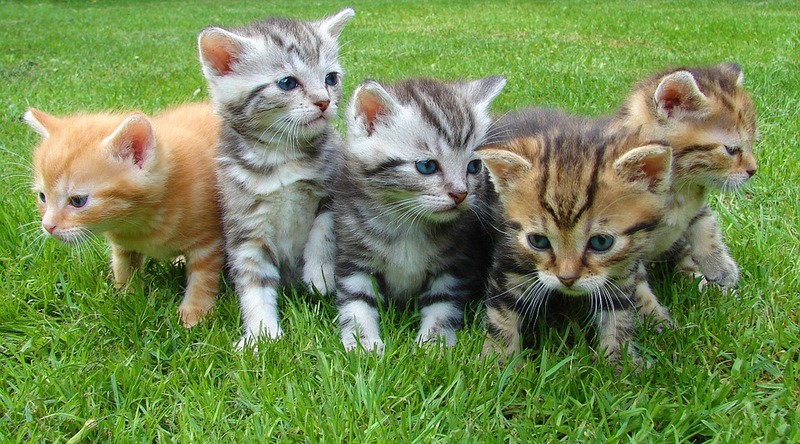 The findings, issued by the Co-op Insurance reveal the top 10 unluckiest cat names and highlights that boys really are far more unlucky than girls, with 8 boys names and only 2 girl names making the list. The pet insurer also revealed that domestic short-haired owners are more likely to claim for their cat’s woes. 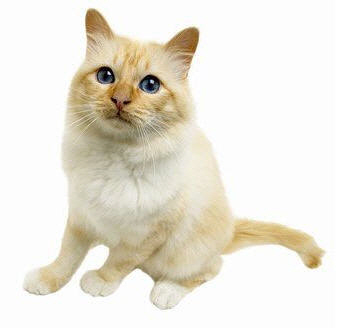 Usually known for their dexterity and agility, it seems unlucky cats called Oscar really do need their nine lives, with the most claimed for condition being road traffic accidents, followed by gastrointestinal disorders, with mouth and oral problems also being common issues affecting their health. David Hampson, Head of Pet Insurance at the Co-op, spoke about the findings saying, “Any pet can come with its fair share of misfortune, landing you with an unexpected trip to the vets or causing mischief around the house, however based on our claims data Charlie and Oscar certainly aren’t the luckiest names you can give your pet. Posted on August 16, 2016 August 16, 2016 Author Cat Advice StaffCategories Cat Articles, Promoted ContentTags Consider cats health when naming pet, Top 10 unluckiest cat names revealedLeave a comment on Could Your Cat’s Name Predict Their Health? Discipline is essential to ensure that you the first few months of you and your cat becoming accustomed to each other run smoothly. A good method of correction is to fill a tin can with a few pennies. When the cat does something inappropriate, rattle the can next to her head. Cats hate this sound, it will act as a sort of aversion therapy and the cat will not associate your voice with being in trouble. Another effective way of correcting the cat is by using a water gun. Obviously, a power hose on full power into the side of the cat’s head is a little excessive, but a quick squirt with a child’s water pistol is most effective. The cat will not be aware that it is you who is causing this shock, but she will learn to associate inappropriate behaviour with the unpleasantness. Health care is of extreme importance to a young kitten as they are extremely susceptible to disease if they are not properly vaccinated. Vaccinations are usually most effective when administered at four to six week intervals between the ages of seven and nine weeks. Recommended vaccinations include those for Herpesvirus (Rhinotracheitis), Calicivirus, and Panleukopenia. Regular and thorough grooming is important to the health of your cat as it prevents the risk of insect infestation. Feeding a cat the right food dictates whether she will be healthy and happy or if she will struggle throughout her life with illness. It is usually advisable to remain with the same type of dry cat-food. Although humans require changes in their diet cats do not, in fact it is detrimental to her health. Cats become ill if they are fed little bits of human food, this causes the digestive enzymes to function incorrectly. Your cat will benefit greatly from having certain accessories available. Getting a Pet for Christmas? Getting a pet to join your family is a major event. It’s new, it’s exciting: it’s short-term magic and long-term love and enjoyment. Your chosen pet could be anything from a cat or dog to an exotic animal or a horse, but whatever you choose you must always have in mind the long term needs of your pet and keep in mind that your responsibilities towards that pet will last for the rest of its life. Obviously the length of time that you will need to care for your pet will depend on how old it is when it joins your household and how long it lives for: in the case of a horse, this could be up to 30 years or even longer; in the case of a parrot or tortoise then it could even outlive you. Christmas is a traditional time for giving and many people choose to give pets as presents to their children, loved one or even to themselves. There are ethical objections to this, since animals are living creatures and are not something that can be played with over Christmas and then put away in a cupboard or forgotten about by spring. Pets are expensive because they normally require some additional equipment. For instance, an exotic pet like a lizard would need a suitably-sized tank with adequate heating and lighting; a dog or cat would need toys, bedding and food/water bowls. Even a pet mouse will require a large cage (they like a lot of floor space to run around), bedding and suitable toys. Long-term costs include vet bills and regular check-ups. The pets themselves can cost a lot of money if you buy them from a breeder or pet shop. If you choose to adopt an animal that needs a new home then you will have a small adoption fee but your pet will have already been spayed or neutered, vaccinated and treated for parasites (if appropriate) by all reputable animal UK charities such as the RSPCA. Adopting an animal can therefore be a lot cheaper than buying, and it also gives a second chance at a happy life to an animal in a rescue centre. If you are intending to give a pet as a gift at Christmas, be sure that the recipient is ready to take on the responsibilities of caring for it, or accept that you will be taking on those responsibilities. For a very young child, for instance, it would be unfair and unreasonable to expect the child to remember to feed and water their pet each day or to clean it out frequently. Instead, assume those responsibilities yourself and either remind your child each day to feed and water their pet and clean it out, or have your child join you in doing so. Make sure they understand how long their pet will probably live if taken care of properly: it sometimes helps to tell them how old they will be by the time their pet is very old. If you think you could adopt an animal, contact the RSPCA and enquire about animals currently available for rehoming. Posted on December 18, 2013 November 27, 2015 Author Cat Advice StaffCategories Cat AdviceLeave a comment on Getting a Pet for Christmas? Cats and kittens in the same household can be the best of friends, or the worst of enemies, and occasionally, both at various times of the day! One of the main problems is that cats are very territorial and if one cat thinks that a particular part of the room is his alone, he will soon show his displeasure if the kitten should dare to walk anywhere near it. On the other hand, a kitten will sometimes do just that in order to get the older cat’s attention. In some ways, kittens are not unlike small children! To ensure that your cat and new kitty get off to the best possible start socially, you need to go against what your heart intuitively wants to do. Really, this is in kitty’s best interests even though it may make you feel heartless at the time! Bring the new kitty into the room and leave it in its travel carrier for a while. Allow your cat to wander around the carrier and get accustomed to the new kitten’s smell – stand nearby and monitor the situation so that the cat doesn’t try attacking the kitten through the bars! Talk gently to your cat about the newcomer. Tell him that it’s a playmate. Reassure him that the kitty isn’t going to take his place in the household’s pecking order. When the cat finally stops pacing around, and perhaps even stops any verbal complaints he has, bring the kitten out of the carrier. Keep a hold of the kitten but fuss the cat. If possible try and transfer the scent of one to the other – once they’ve lived together in the same environment, they’ll have a similar smell and “belong”, although this is no guarantee that they’ll ever be the best of pals! Never leave the kitten alone with the older cat, especially at night when all humans are asleep, until the kitten is big enough and secure enough to defend itself. It will probably be used to pushing siblings out of the way to get milk from its mother but the sheer weight and size of your other cat is a threat to the well-being of the kitten. Acceptance will come slowly and friendship ever slower. They may even have a love-hate thing going where you think they can’t stand each other, but remove one of them for any length of time, and the other will start pining for him. By introducing them to each other slowly and not forcing them together, you allow each of them to weigh-up and observe the other, and this is the best way of ensuring that every won’t be a survival battle for either of them! Why Won’t My Cat Drink Milk? My Kitten Doesn’t Drink Milk – What Should I Do? Almost everyone who has never owned a cat before, or who hasn’t owned a “fussy” cat, is under the impression that all cats drink milk. This is like saying that “all women like chocolate” – of course most women like chocolate but there’s a large enough percentage who don’t like it to disprove the common thought. Likewise with cats, it’s more accurate to say that most cats drink milk, but not all of them. There are some cats who don’t like milk – and there are even some who are lactose intolerant! If you find that your kitty doesn’t like milk, or your veterinary has advised you that the fur problems are caused by an allergy that he has traced to being a lactose allergy, then you need to ensure that the kitten drinks plenty of water. If the kitten is really young, then you should ask your veterinary to suggest some alternatives to make sure that the kitten gets the right amount of calcium to ensure his bones and teeth grow healthily. An older cat doesn’t need quite so much attention paid to its calcium intake, but if you know he isn’t drinking milk, then choose one of the cat food brands that adds calcium amongst the added vitamins and minerals it lists on the packaging. If you wanted to make sure that your cat is getting an “appropriate” amount of calcium for its age and size, you could again check this with your veterinary when you take the cat for its annual check-up/shots. If your cat is pregnant, nursing a litter, or moving into the “elderly feline” category, you should again check with your veterinary as to whether you need to have a calcium supplement for your pet. Although all cats do need calcium, just as we do, and in different amounts through the various life stages, it’s more than possible for your cat to be completely healthy without drinking milk. A couple of minutes spent checking with your veterinary will soon reassure you that everything is fine and how to ensure your kitten’s nutritional intake is adequate. Posted on September 4, 2012 Author Cat Advice StaffCategories Cat HealthLeave a comment on Why Won’t My Cat Drink Milk? Best Place For Cat To Sleep? Finding somewhere for your new kitten to sleep is a basic requirement when you first bring kitty home. It also needs to be something you give a lot of thought to before you go to pick the kitten up! Many people have very strong ideas about this. They don’t want the kitten to sleep anywhere but in its own bed – perhaps a basket that’s been bought especially for it. They certainly don’t want kitty finding its way into bedrooms or sleeping on sofas/armchairs. Then there are other cat owners who have no intention of segregating their kitty from its human family and allow it to choose where it wants to sleep. There is no right or wrong decision on this, the only right decision is what’s right for your family. What you do need to do however is make the decision, and the preparations prior to introducing your kitty to its new environment. If you decide that you want the kitten to sleep in its own bed – either in your bedroom, or in the kitchen or other part of the house – then you need to ensure you give adequate thought to this. You are bringing into your home a baby cat, a kitty who has just that day been taken from its mother. It may well be happy to play and be fussed over when people are around, but once everyone goes to bed, kitty’s going to feel very much alone and scared. If you have a blanket that his mother had been sleeping on and still has her scent, place this in his sleeping basket and it will give him a little security. Unless you want to give the kitten the idea that it’s ok for it to sleep on your bed, you shouldn’t bring it to bed even on the first few nights when it’s mewing for its momma. That would be setting a precedent that you will find hard to break once he gets into a habit of sleeping beside you. Instead you need to think about camping out on the floor next to his bed for a few nights until he gets used to his new surroundings. Should you decide instead that kitty is welcome to sleep in whichever bed he prefers, then you need to take a few safety precautions to ensure that he isn’t suffocated or squished during the night. Arrange pillows or rolled towels around him to act as a buffer between and him – or if he has a small basket, see if there’s a place this can sit on the bed without being in danger of being kicked off! Wherever you think the kitty is going to sleep, be prepared to get up and find him somewhere else! Cats in general have a tendency to be opinionated and do their own thing regardless of how it fits into your plans, so accept this from the get-go, and then if you try to get kitty excited about where you want him to sleep and fail, find a compromise that you can both be happy about! Posted on September 4, 2012 November 27, 2015 Author Cat Advice StaffCategories Cat AdviceLeave a comment on Best Place For Cat To Sleep? Many people have a strong opinion as to whether or not they should neuter their kitty. There are those who have kittens who think it’s a dreadful idea to take the possibility of having kittens away from their kitten – or can’t begin to imagine why they have to consider something like that about a tiny little kitty. Then there are those who don’t have cats and think all cats should be neutered and so get a reputation for not liking cats. The truth of the situation is that unless you want your kitty to have, or father, kitties of its own, you really need to consider neutering your kitten as soon as possible. Many people think that they have to wait until their queen kitty goes through her first “heat” cycle. This isn’t the case. She’ll be just fine if you get her done as soon as her system is mature enough to cope. Usually this is around 5 months old. If you wait and she has that cycle, be prepared for the loudly serenading “beaus” who come “calling” at 2am! Neutering your kitten early means that they are less likely to have much reaction to the operation at all – as with humans, the young are more adaptable to their situations. Within a couple of hours of surgery, a neutered kitten is likely to be back on his feet and wobbling in the direction of his supper! He will wash and wash at the stitches until you are terrified that he will wash them out, and you’ll take some preventative measure to ensure that nothing happens to them overnight! By the next day kitty should be swinging once again from your curtains. 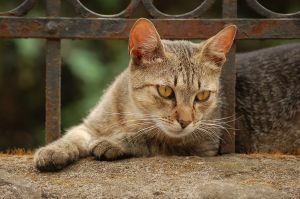 Although most cat owners can see the advantage of neutering their queen, not many realize that by neutering a tom, they not only stop him from populating the local area with off-spring, but they will take that “tom cat” smell away. The urine of a neutered tom cat usually smells less intrusive that that of a non-neutered one. Regardless what some people may think, neutering your kitten isn’t a negative thing. If anything you are liberating your cat to go out into the world, confident that it’s not going to be helping to populate it! Should I Bath My Kitten? Do I Need to Bathe My New Kitty? No, is the short answer you’ll be relieved to know. However, it’s a “no” that comes with a proviso. Your kitty may be a little bit too small to bathe now, but it’s never too soon to start getting it used to an idea it’s going to hate when it gets a little older and you have the flea shampoo ready! The best way to bathe your cat is with patient preparation – and the time to start preparing kitty is as soon as it moves into your home. You won’t be using the bath, but you can get him used to the procedure so that once the real thing starts to happen, he isn’t going to get a shock. Prepare a bowl that’s big enough to bath a half-grown cat. The first couple of times, don’t put any water in it. Just put the dish on the floor in the bathroom, assemble items you would use in the event that you were actually bathing him such as shampoo, towel, comb, towel plus have a warm (not hot) damp face cloth to hand. Put the kitten into the dish so that he’s standing, and firmly hold him there. Talk softly and reassuring to him. Stroke him from head down then along his body and up to the top of his tail. When he’s used to you doing that, take the face cloth in the same hand and do the same only with the damp face cloth touching his fur, constantly talking to him in a gentle reassuring voice. After a few weeks, have a little bit of luke warm water – just covering the bottom of the dish – for him to stand in, and hold him firm whilst talking reassuringly until he gets used to the feeling. After a few more weeks, raise the water so that it just covers the top of his paws. It may seem like a lot of work but most cats are terrified of water, and so spending this growing/learning time with your kitten will ensure that when it comes to doing the “real deal” bathing, your cat is going to have some positive experiences to fall back on, and it shouldn’t be such a traumatic exercise for either of you. Posted on September 4, 2012 November 27, 2015 Author Cat Advice StaffCategories Cat AdviceLeave a comment on Should I Bath My Kitten? As in dogs, there are many causes of arthritis and joint disease in cats. These include trauma, infections, immune system disorders and developmental disorders such as hip dysplasia (yes, cats can get hip dysplasia). Simple old age wear and tear is by far the most prominent cause. 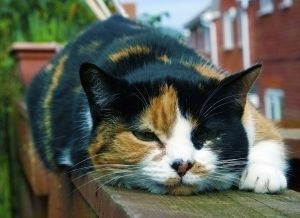 Arthritis in cats is an under recognised condition amongst both pet owners and veterinary surgeons alike due to cats’ typical sedentary lifestyle masking the fact that they may be in serious discomfort. In actual fact, approximately 50% of cats over the age of 10 are affected by arthritis in the UK (study by Liverpool University, www.liv.ac.uk), with some studies claiming the incidence to be even higher than that. In the following article we will discuss some of these causes or conditions which are more common or unique to cats. Before you read on, you may want to check out the articles Joint Anatomy and Veterinary Procedures Used to Diagnose Joint Disease for some background information. Information on how to manage cats with arthritis and other joint problems, including the use of Glucosamine and Chondroitin is discussed in Treatment of Osteoarthritis in Cats. Early signs if arthritis are often missed, but this is actually the time when early intervention and environment adaptations may be appropriate to help reduce progression of this disease. Age can obviously play a big part in the onset of arthritis in cats. As animals age their joints can begin to degenerate through simple wear and tear, especially if there has been considerable overuse over the years. Most cats will have some degeneration starting to happen in their joints by the age of 8 years old, with this form of arthritis being known as “Osteoarthritis”. In Osteoarthritis, the normal cartilage that cushions joints starts to be gradually worn away. This is due to cartilage not being replaced as quickly as it used to be when the animal was a youngster. Eventually the ends of the bones become exposed which causes much discomfort and inflammation in the joint affected. Following on from this, the bones do try to heal themselves in the only way they know how to – by forming a callous, just like when they are broken. Unfortunately this callous is not useful and is what you often see on x-rays of arthritic joints as the “white fluff” at the edges. Over time this callous can become quite significant, especially in joints that are not frequently mobilised. It may eventually limit the range of movement, even to the point where a joint is actually frozen in one position. Like dogs, some breeds of cat may be more predisposed to develop arthritis. Pure breeds specifically are at risk, with Burmese cats having a high tendency to inherit this ailment. Additional weight on a cat’s limbs will act to increase the wear and tear of the joints over a prolonged period. While a weight issue will not directly cause arthritis it will certainly play an important part in accelerating the degeneration of joints. Weight loss will have a hugely beneficial effect on arthritic cats, prolonging the life expectancy of the joints and often delaying or reducing the need for strong medications. Cat’s that have suffered an injury to a joint, for example a fracture or dislocation, are predisposed to developing arthritis in that particular joint. This is due to damage being caused to the cartilage, either directly through the injury or via altered use of the limb during recovery, leading to degeneration at an earlier age. 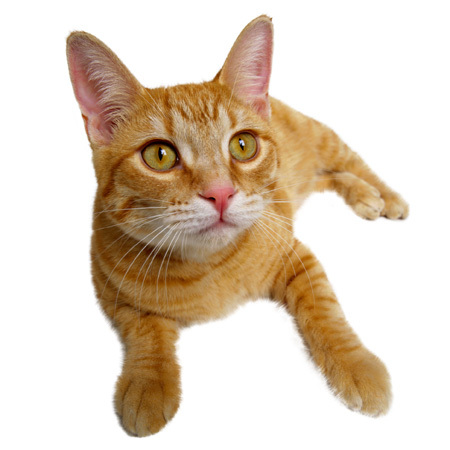 Similarly, cat’s joints can become infected, commonly a result of bite wounds. The joint becomes swollen, extremely painful and the cat will often not bear any weight on the affected leg or accommodate the area being touched. The cat often has a fever, will be lethargic, bad tempered and will not eat. 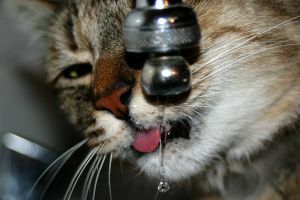 Treatment involves draining the infected fluid, with thorough flushing of the joint, and placing the cat on antibiotics. Joint infections can cause severe, permanent damage to the joint and for this reason should be treated urgently. Even if the infection is cleared as soon as possible, damage to the cartilage may still be done, predisposing the animal to developing arthritis in the joint affected. There are certain illnesses that may cause symptoms of arthritis. For example a virus linked with respiratory disease, Calicivirus, may cause inflammation in multiple joints resulting in pain and lameness. There is no specific cure, just nursing care to help the animal through all the symptoms of this virus while the cats own body tackles the disease. Many cats recover after 30 days, however some may become permanently infected, with relapses happening during times of stress. Importantly, this is a virus that can be prevented through annual vaccinations, making it all important to keep up to date with boosters. 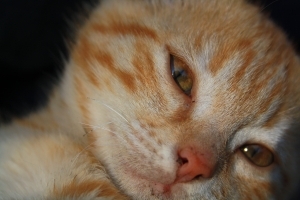 Feline progressive polyarthritis is a disease affecting young – middle aged male cats. It causes inflammation in multiple joints, especially the feet, wrists and ankles, which worsens over time. There is no cure and treatment is simply pain relief until the condition progresses to a point that it is intolerable. Thankfully this disease is extremely rare. 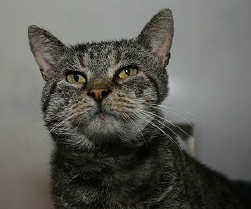 What Next for An Arthritic Cat? Your vet can suggest a wide range of medication options for your cat, these will usually be non-steroidal anti-inflammatory drugs which will help relieve the pain and reduce inflammation of painful joints. These medications are suitable for long term use and are commonly available in the form of tablets or oral suspensions. Your vet may also suggest nutraceuticals such as glucosamine supplements, which may help to provide building blocks for natural cartilage production and repair within the joints. These supplements often need an introductory period, where an increased dose is given for the first weeks of treatment before being reduced to a maintenance level. It is very important to follow these instructions to ensure you get the maximum benefit from these beneficial supplements. Alternative therapies are available for your cat, and your vet will be able to advise what is available in your locality suitable for your cat. For any cat suffering from arthritis, it is important to ensure maintaining a healthy weight is part of the treatment plan to help reduce the progression of this disease. To keep joints supple in the face of arthritis and also to promote strength in muscles that support affected joints, frequent gentle exercise should always be encouraged. Physiotherapy techniques may also be used on tolerant cats. Cold, damp and slippery conditions should be avoided as these may all antagonise existing arthritis. 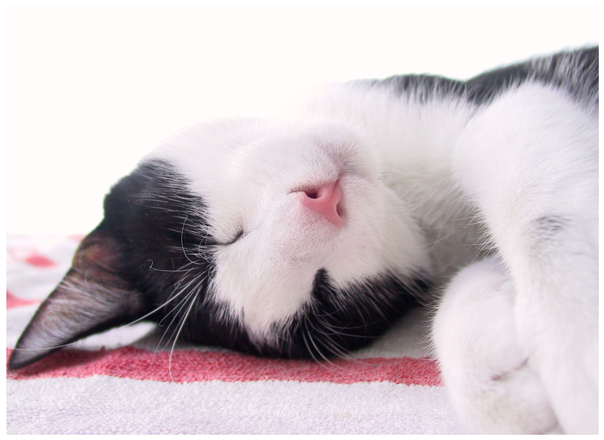 Your arthritic cat will always appreciate a warm comfortable bed to retreat to, as well as mats or rugs laid down on wooden or tiled floors to give a safe, sure-footed, walking surface. Lowering of food and water bowls as well as cat flaps to ground level will also aid access for older cats that may become unwilling to jump due to the strain it causes on their painful joints. And remember, your lazy old cat may be cleverly disguising this condition so ensure you keep a keen eye on any out of character behaviour and signs of discomfort or pain.